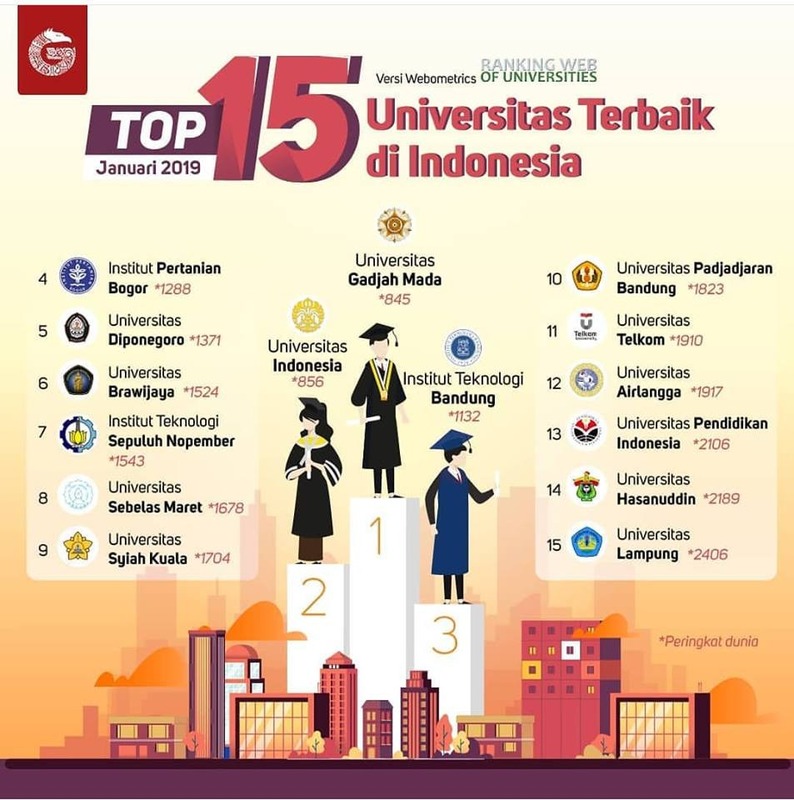 Syiah Kuala University (Unsyiah) entered the top ten best universities in Indonesia, the page version of Webometrics, which was released in January 2019. Unsyiah was ranked ninth and was listed as the only university outside Java that was included in the list. While the top three are occupied by Gadjah Mada University (UGM), University of Indonesia (UI), Institute of Technology Bandung (ITB). Webometrics is a research group owned by the Consejo Superior de Investigaciones Cientificas (CSIC), the largest public research body in Spain. This institution ranks more than 21,000 universities throughout the world.